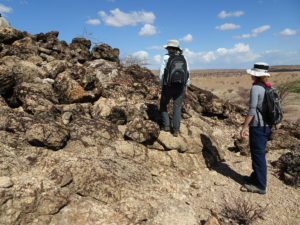 I spent most of November in Kenya with a motley crew of five researchers from four different American research universities and five different geochronology backgrounds: me, my postdoc advisor Sidney Hemming, Stony Brook’s Troy Rasbury, Oregon State’s Frank Sousa (another Caltech alum), and Elena Steponaitis of Florida State. 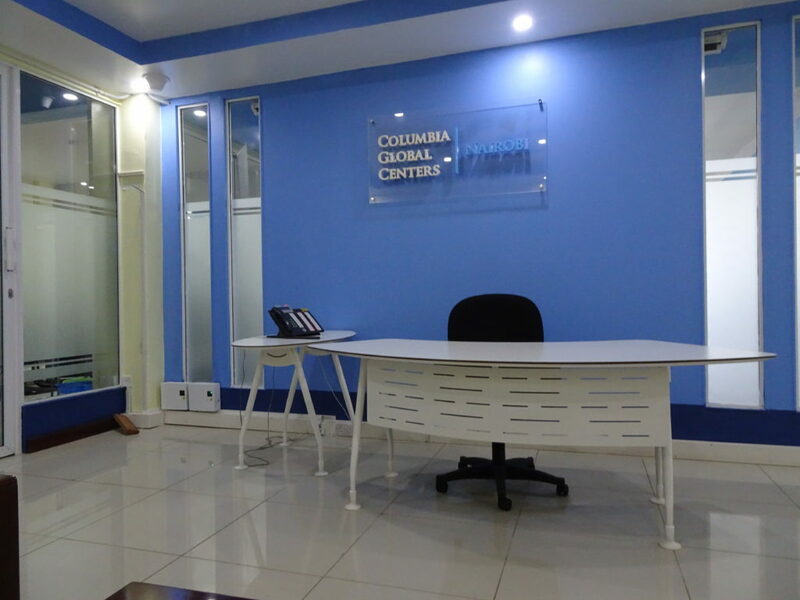 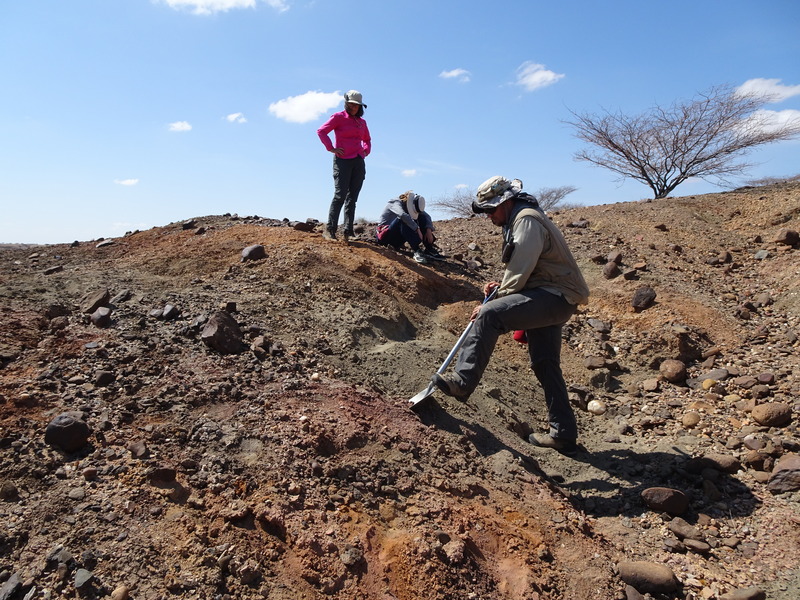 We were funded by the Columbia Global Centers, which is a great program Columbia has put in place to help students, faculty, and researchers get out into the world more easily. Aside from the money from the CGC program, the logistical support of the CGC in Nairobi, especially the director Murugi Ndirangu and the program manager Pauline Muthoni, really made the trip possible. 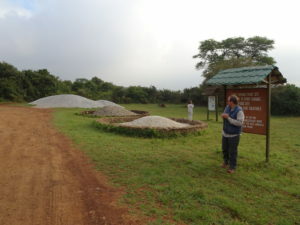 We met the CGC staff and discussed our primary goal for the trip, which was scouting out a student field trip that we hope to run in the future (pending more funding from the President’s Global Innovation Fund or another source). 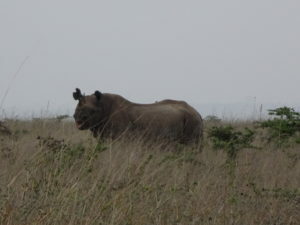 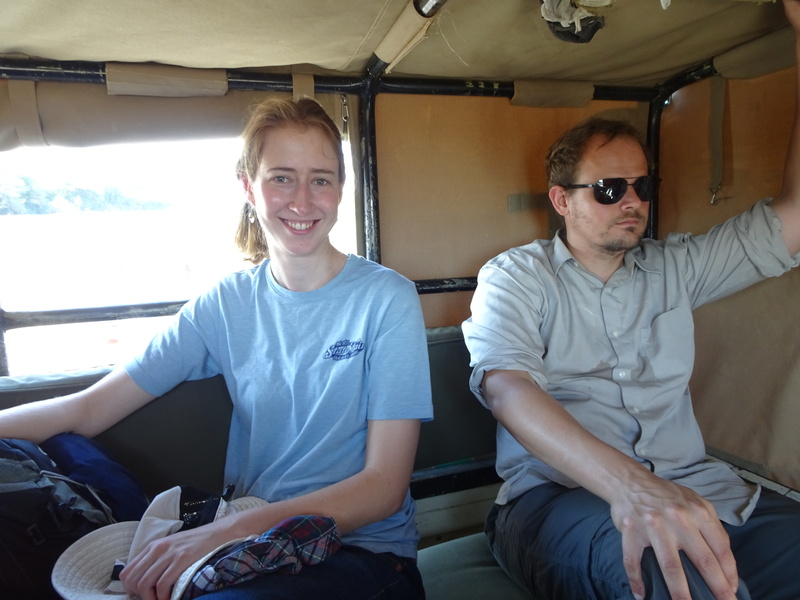 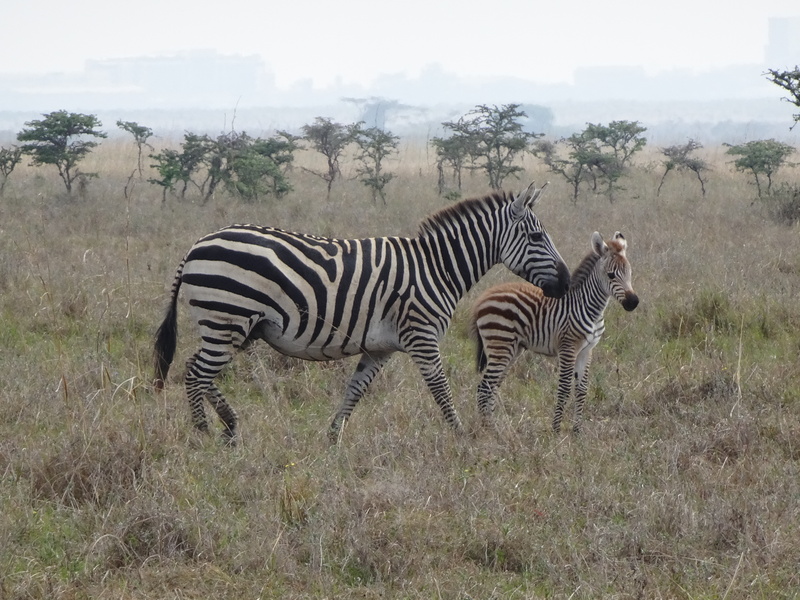 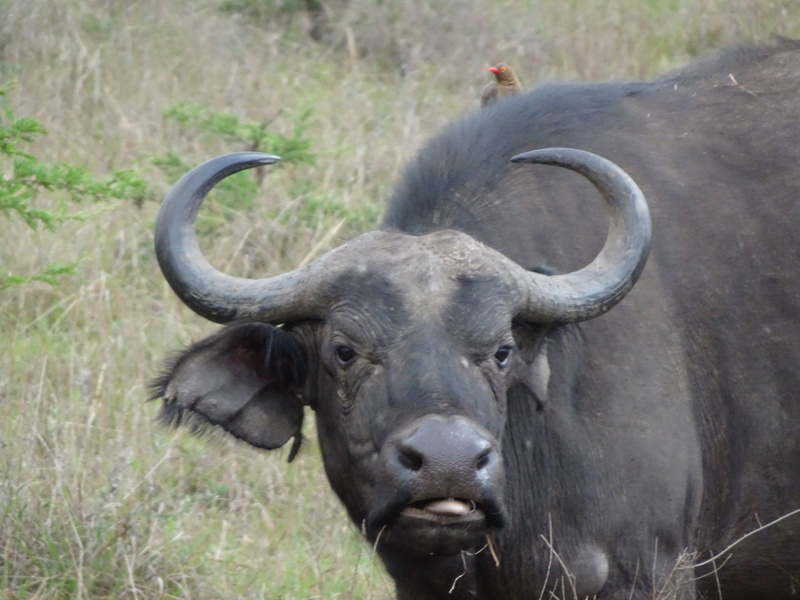 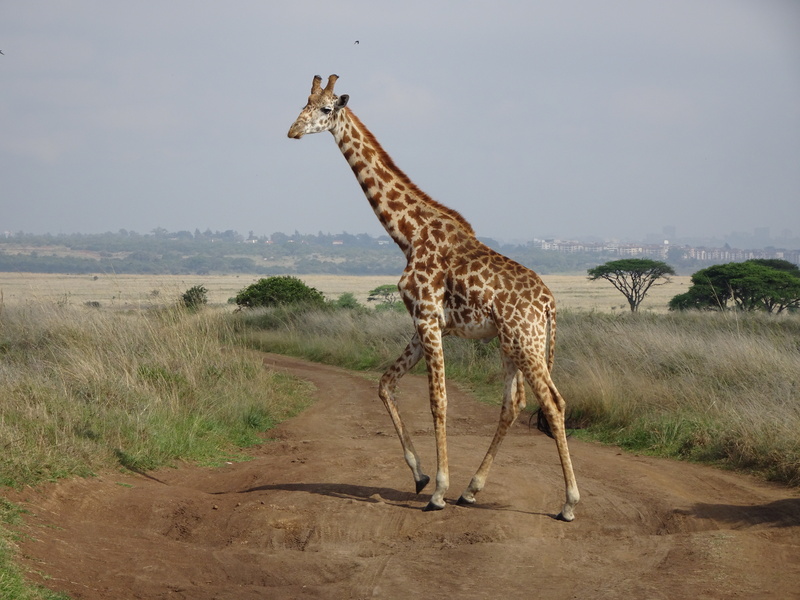 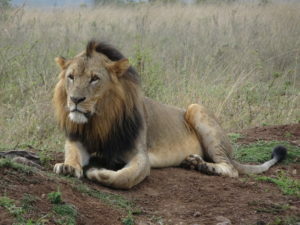 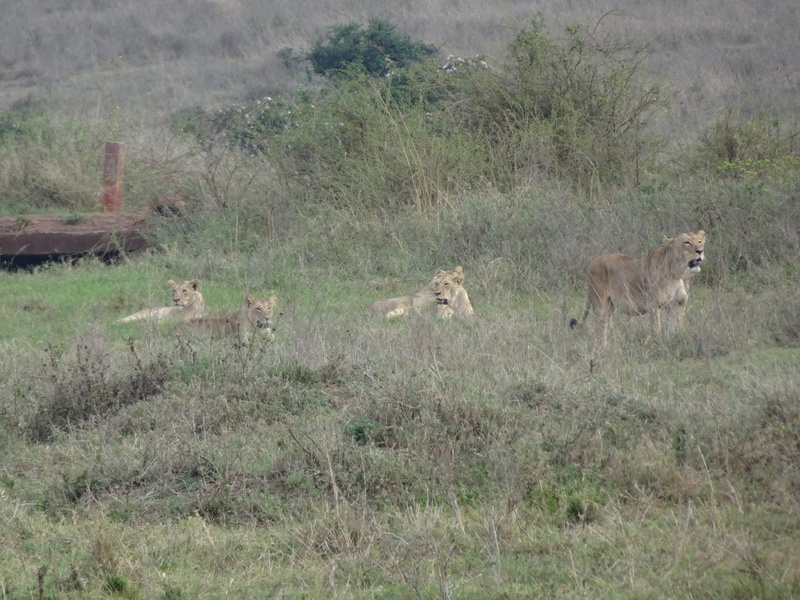 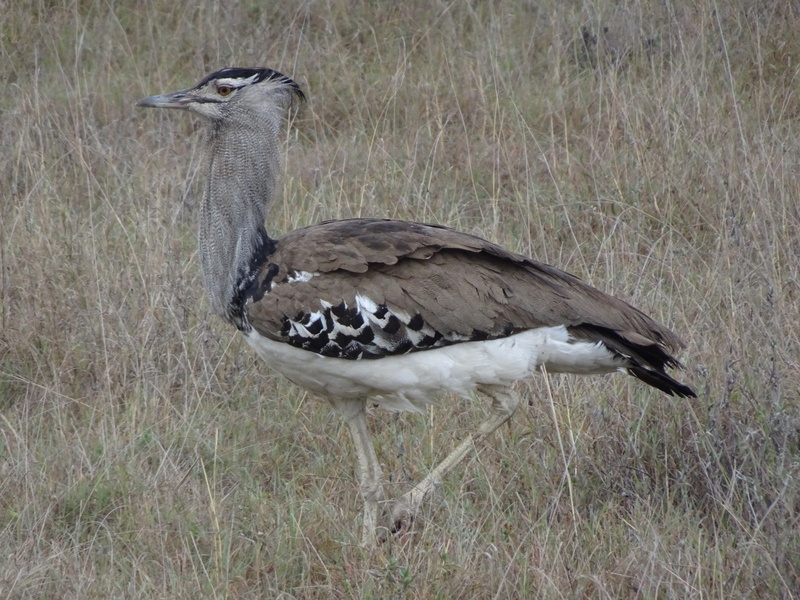 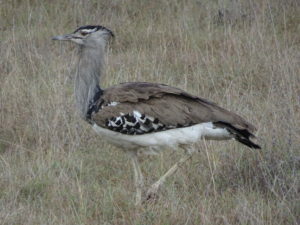 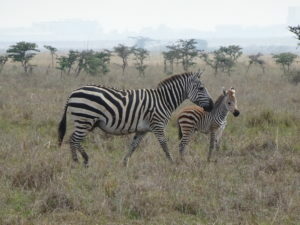 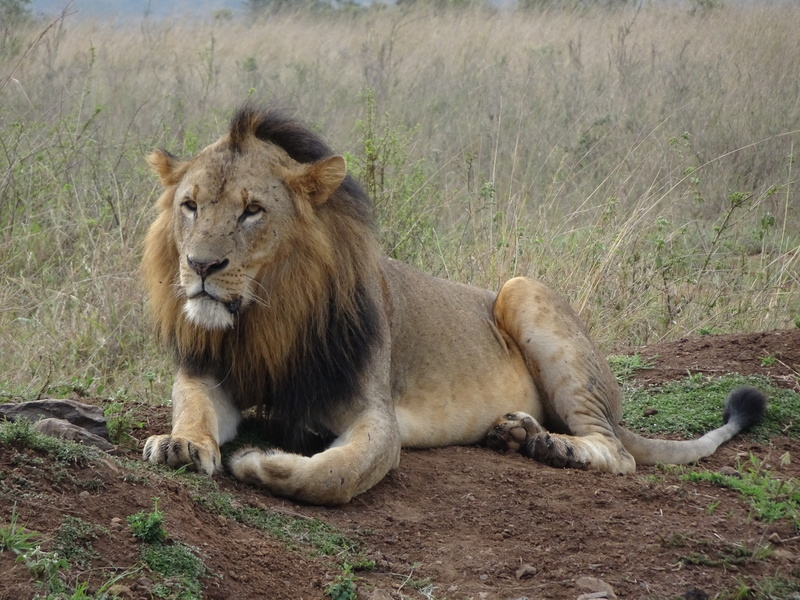 They also helped set us up with a driver for a quick safari in the Nairobi National Park, which we will probably expand to a few days in the event that we have a full field trip funded. 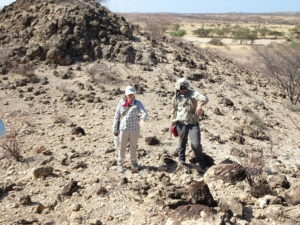 This time, we were on a tight schedule and were eager to get to Turkana and start working. 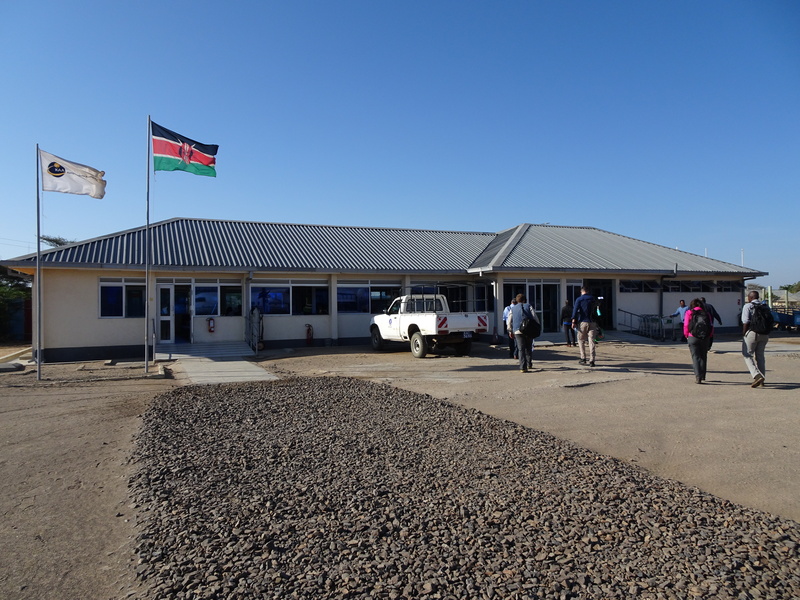 The flight to Turkana between Wilson Airport and Lodwar took only a little over an hour, and on arrival we were met by the fantastic staff of the Turkana Basin Institute, who would be our hosts and guides for the next ten days. 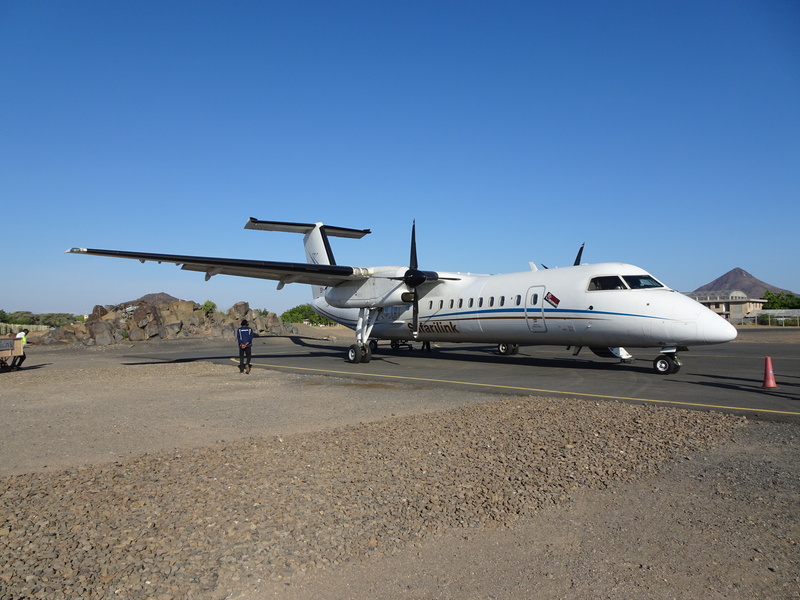 We also had the great fortune to run into Isaiah Nengo at Wilson Airport, and we would see him again for dinner that evening after he attended to business in Lodwar during the day. The ride to the TBI-Turkwel facility from Lodwar Airport took a little over an hour as well, and was a great survey of the county as we went from the urban environment of Lodwar (population 50,000) through sparsely populated desert with little more than camels, and then back into the more densely populated villages, more greenery, and more varied livestock around the TBI facility. 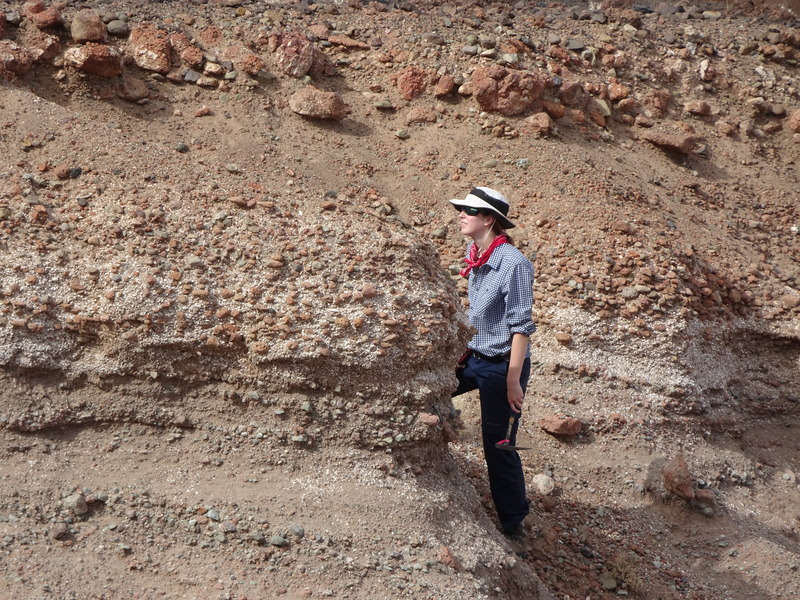 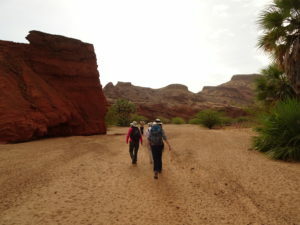 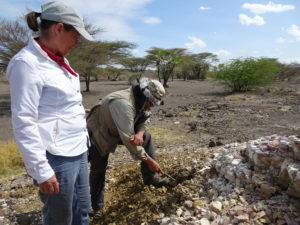 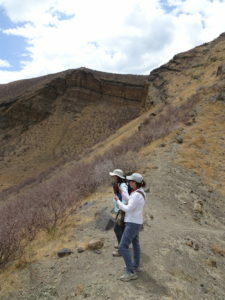 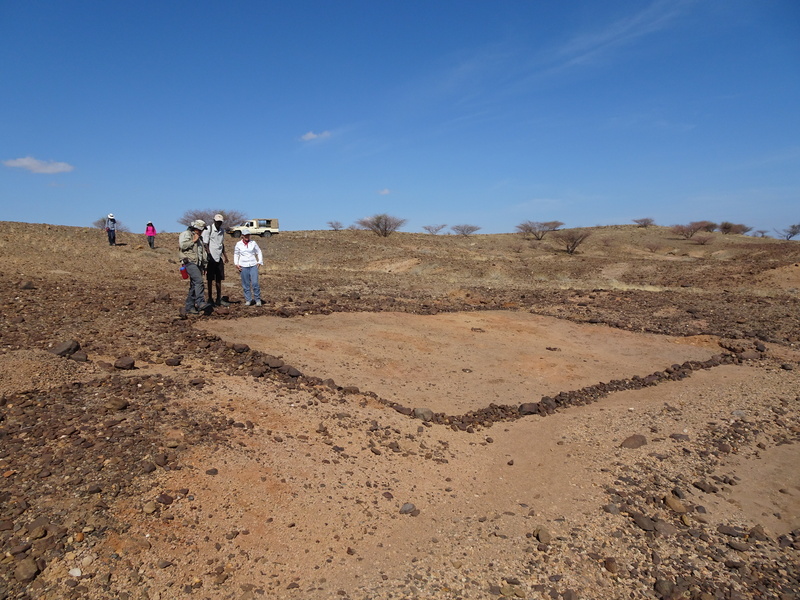 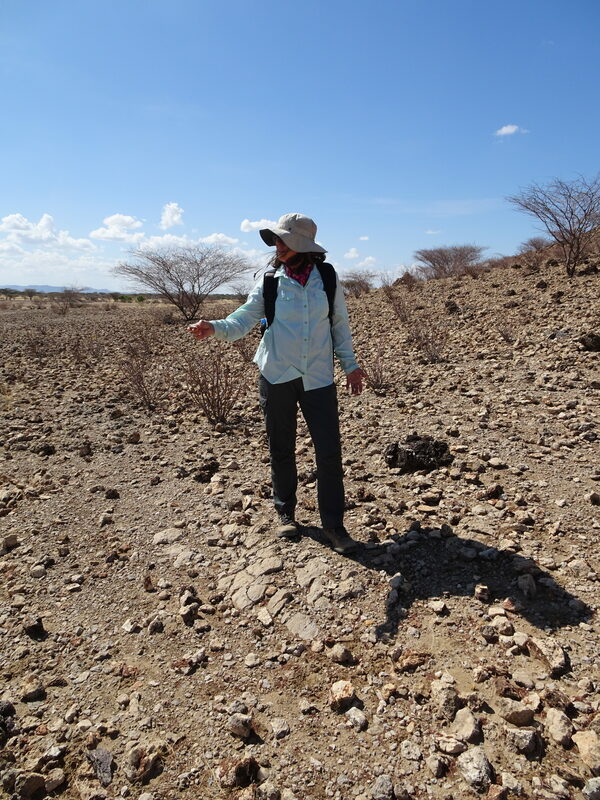 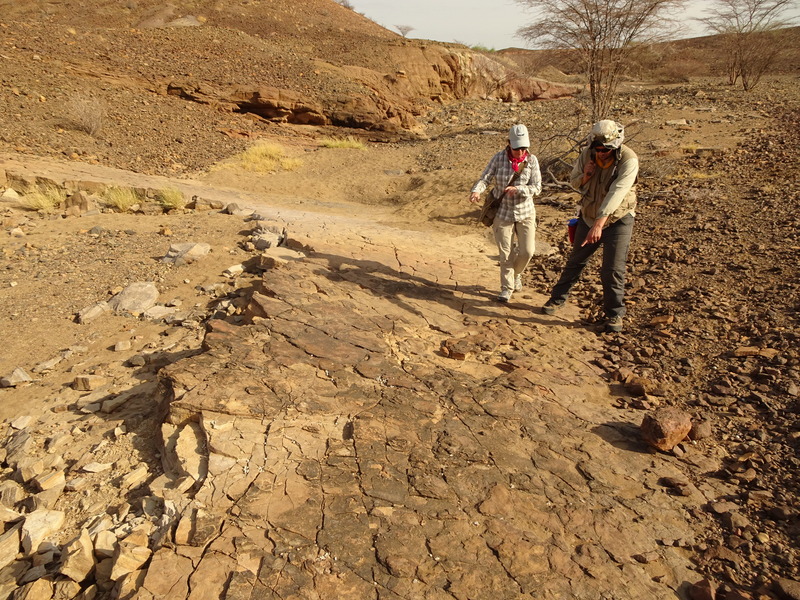 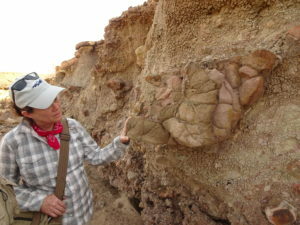 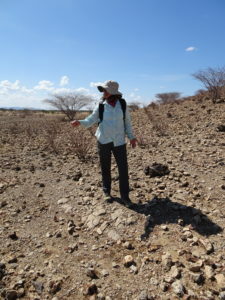 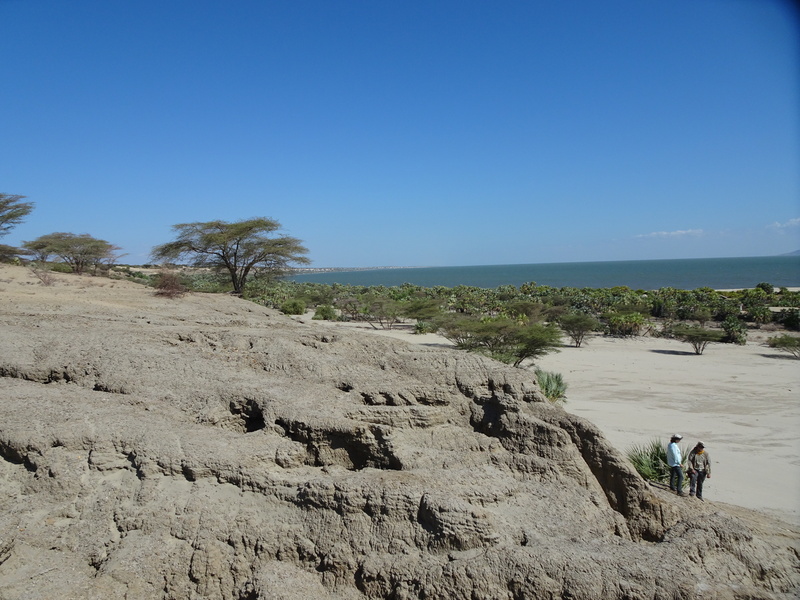 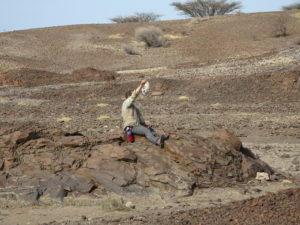 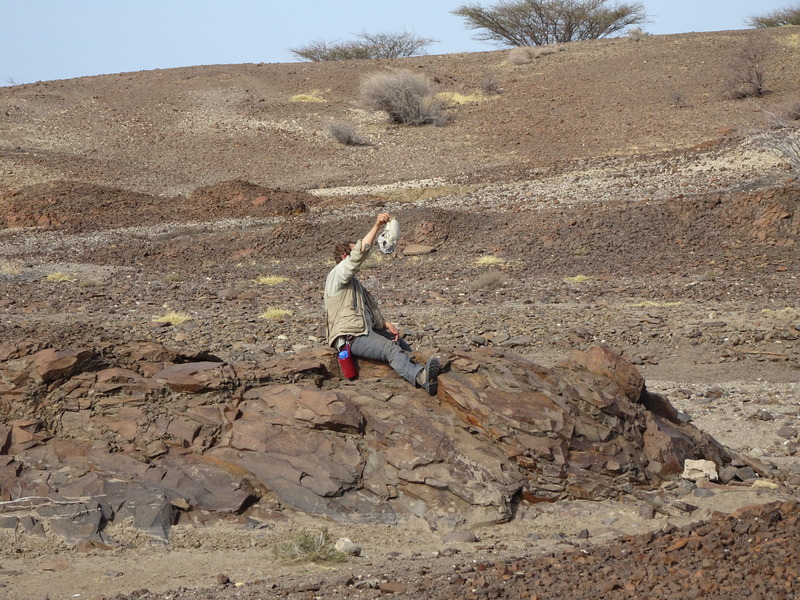 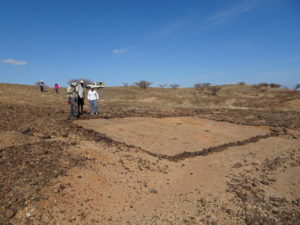 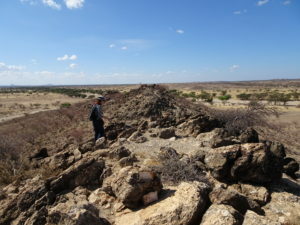 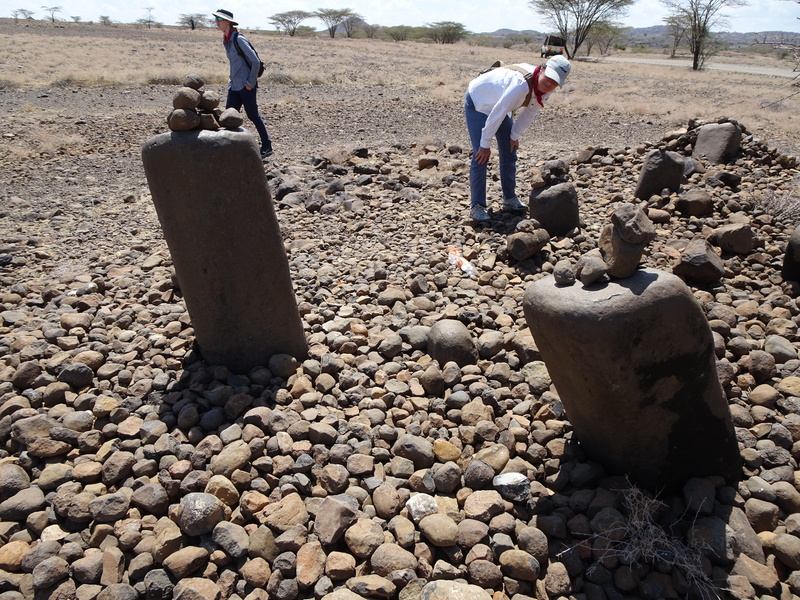 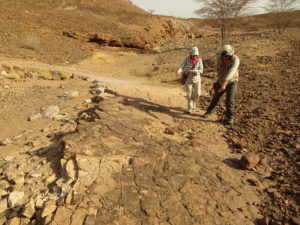 We had lunch and immediately set out into the field on arrival, exploring the sediments outcropping just to the west of the TBI, an area called “South Turkwel” by the paleontologists. 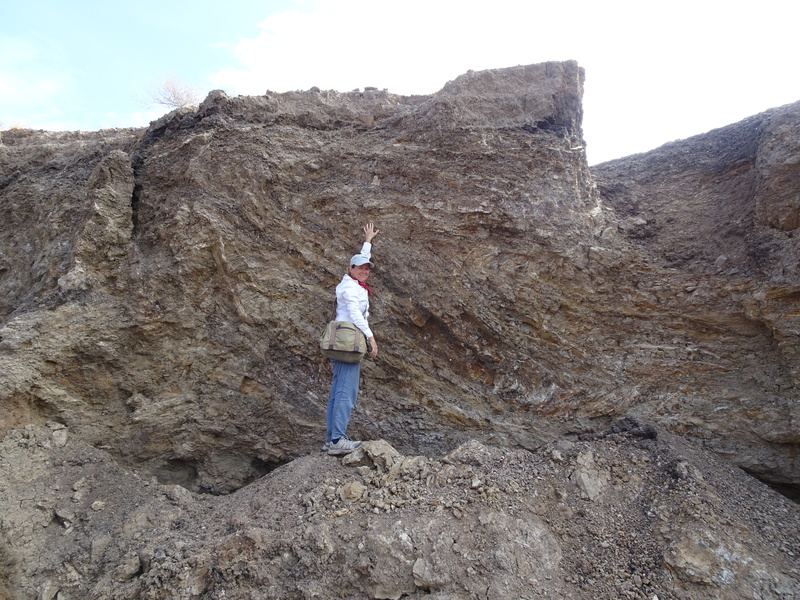 This area is mapped as Pliocene sediments, and the fossils are so abundant that they would quickly become boring . 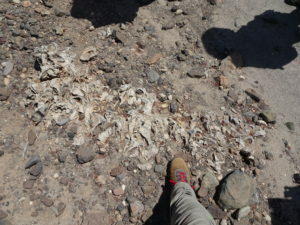 . . if they were not fossils, which are immune to becoming boring. 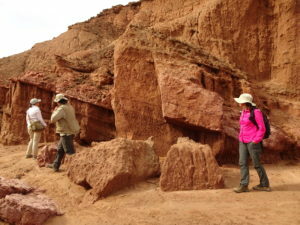 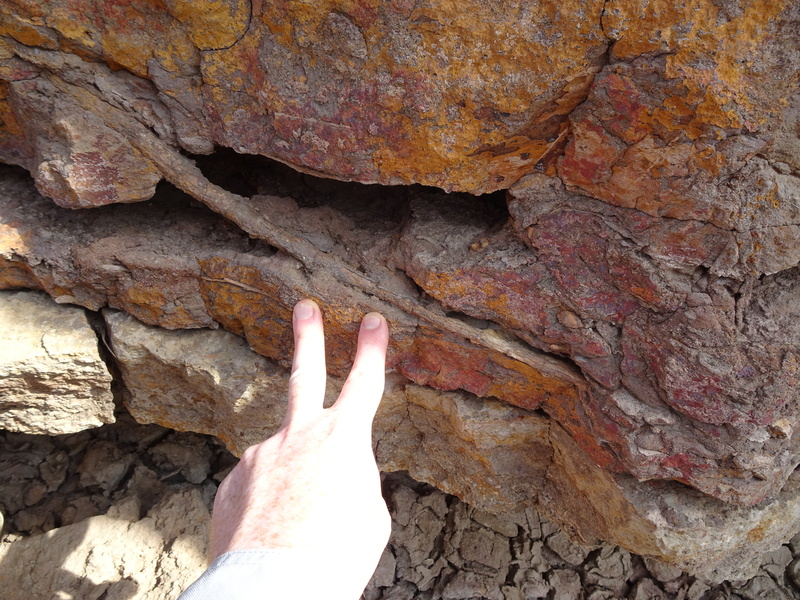 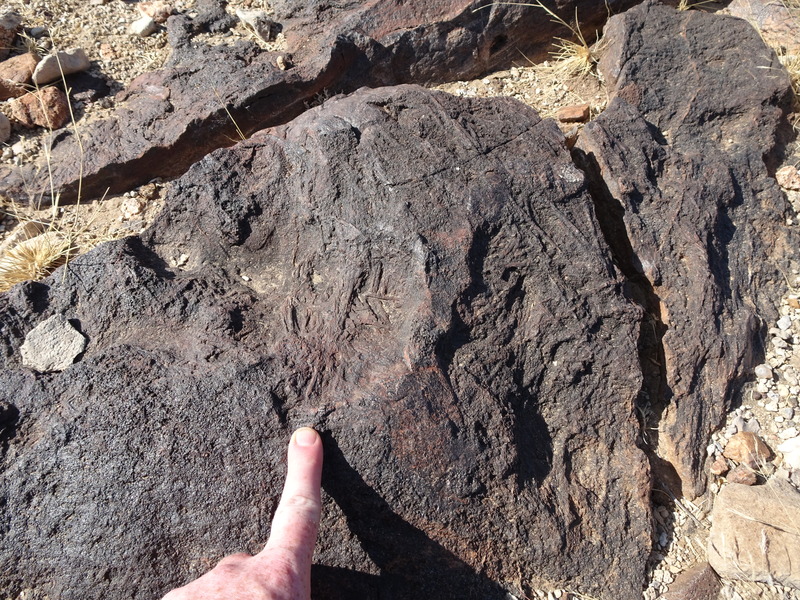 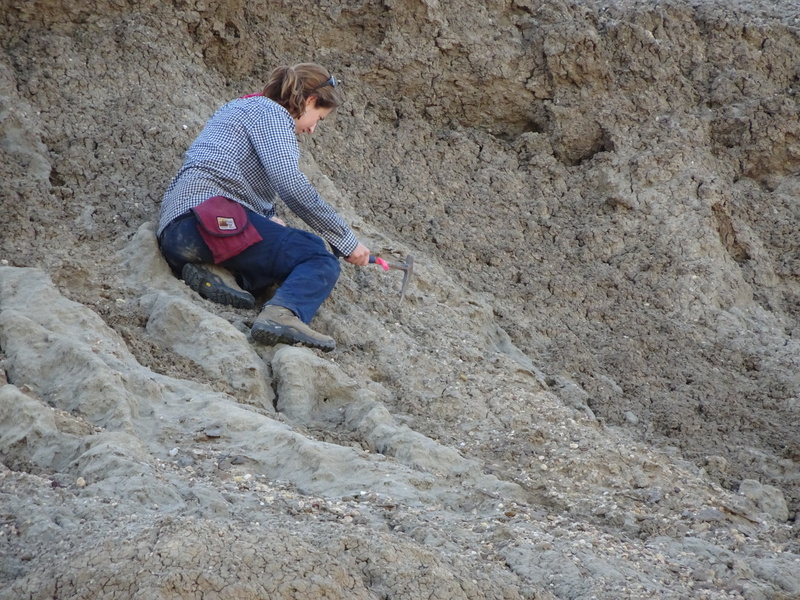 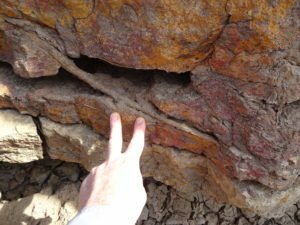 In addition to the fossils, we had a field day (🥁) looking at the sediments, and we found one huge, prominent ash throughout the area and a cool fault cutting across the region, separating dramatic red sediments from more pedestrian grey ones. 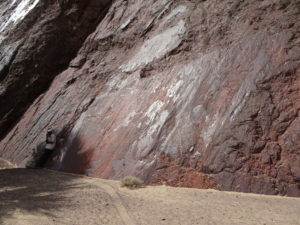 The fault had sucked up an ash layer, which likely provided some lubrication for the slip. Aside from the intense heat, these regions were a treasure trove for us, and we could easily have spent weeks exploring. 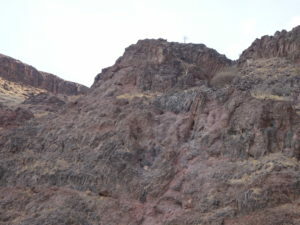 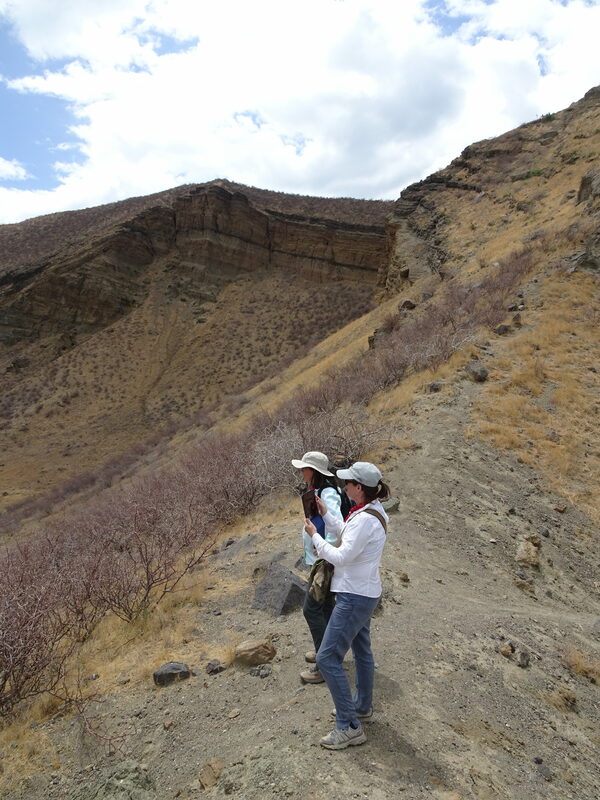 We found outcrops of basalt, volcanic ash, and carbonate, all things we know how to date, throughout the region. 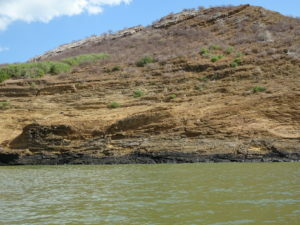 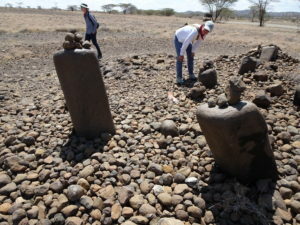 Francis Ekai, our guide, also showed us a cool archaeological burial site adorned with pillars of basalt that had been built along what was then the shoreline, now about 80 meters above lake level. 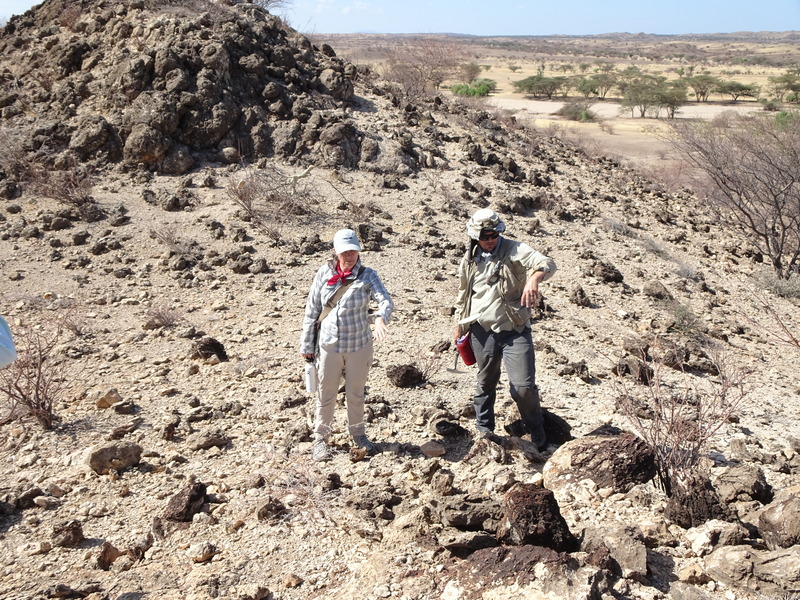 After Napudet and Lothagam, we spent another day in South Turkwel making sense of the ash, the fault, and the stratigraphy, then the following day we headed to Lobolo. 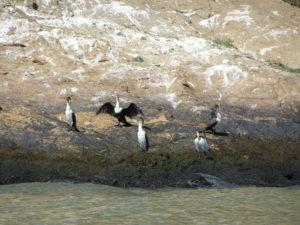 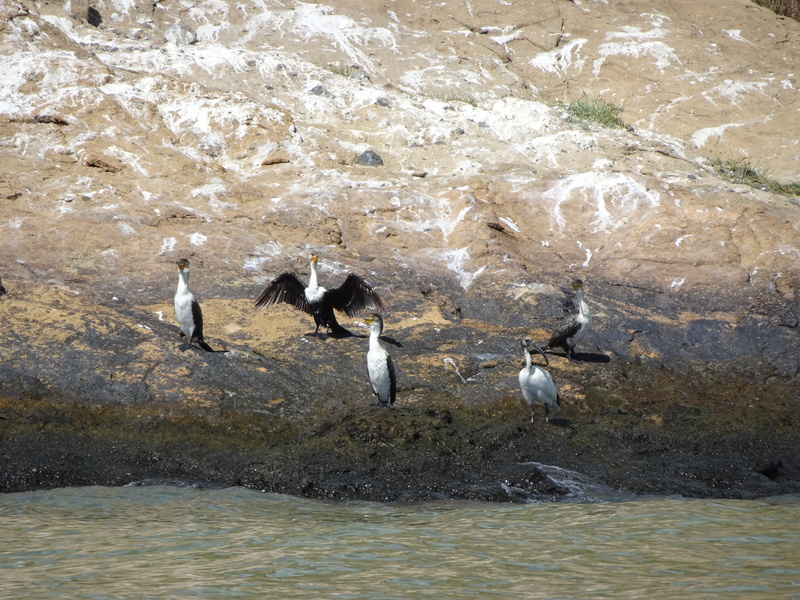 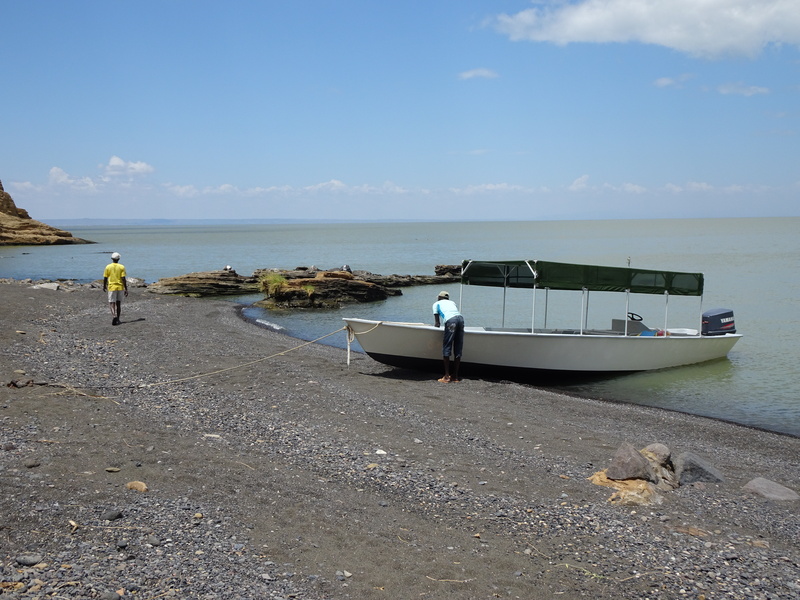 We spent the morning looking at fossil-bearing sediments near the lake, then just before lunch the waters calmed down and we took a boat trip to Central Island National Park with Jade Sea Journeys. 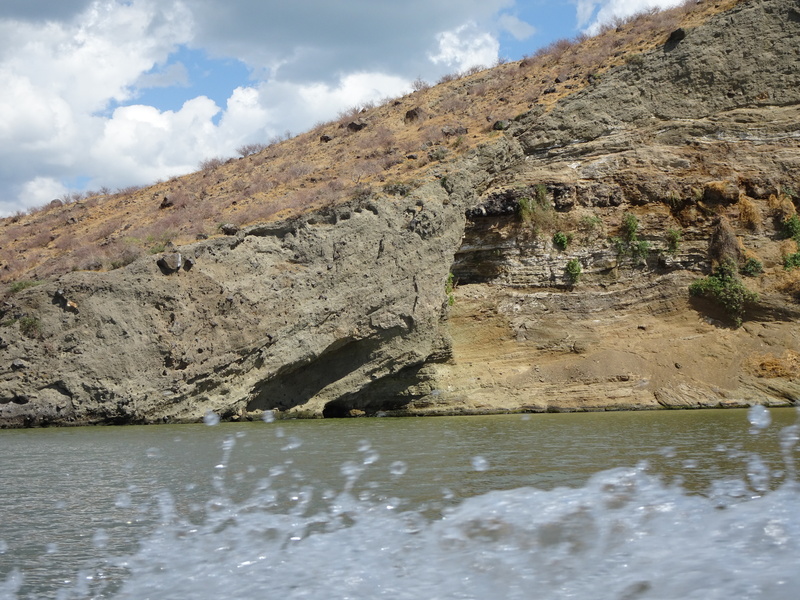 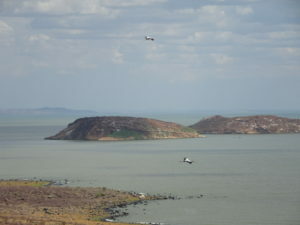 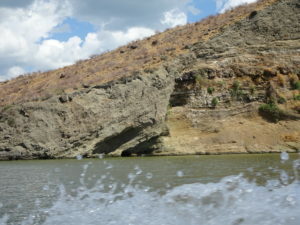 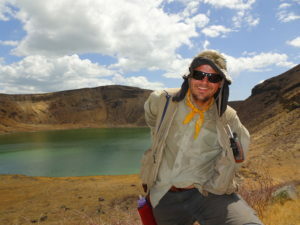 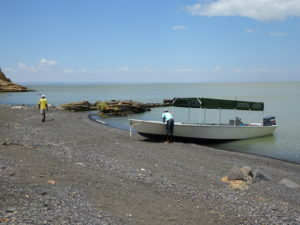 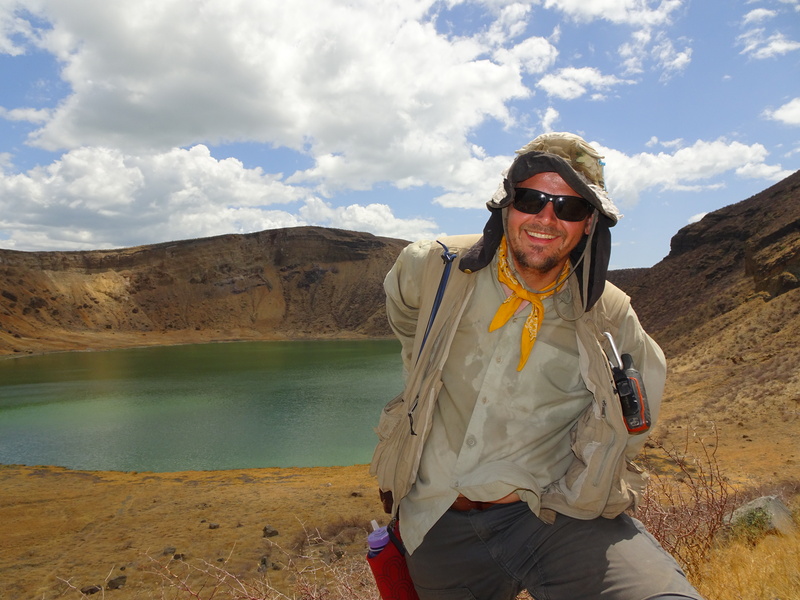 Central Island is a clump of volcanic craters in the middle of Lake Turkana, and we were excited to get a better view of the lake and sample the rocks on the island. 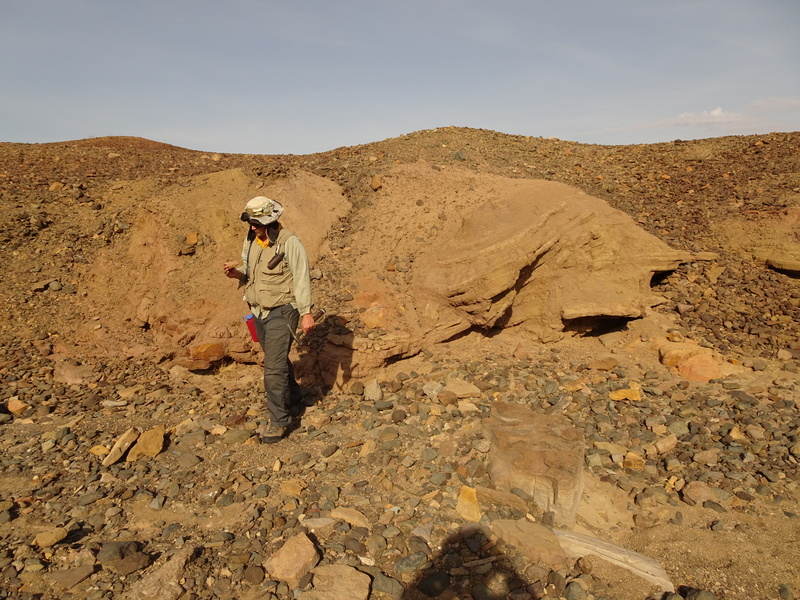 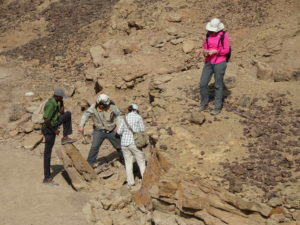 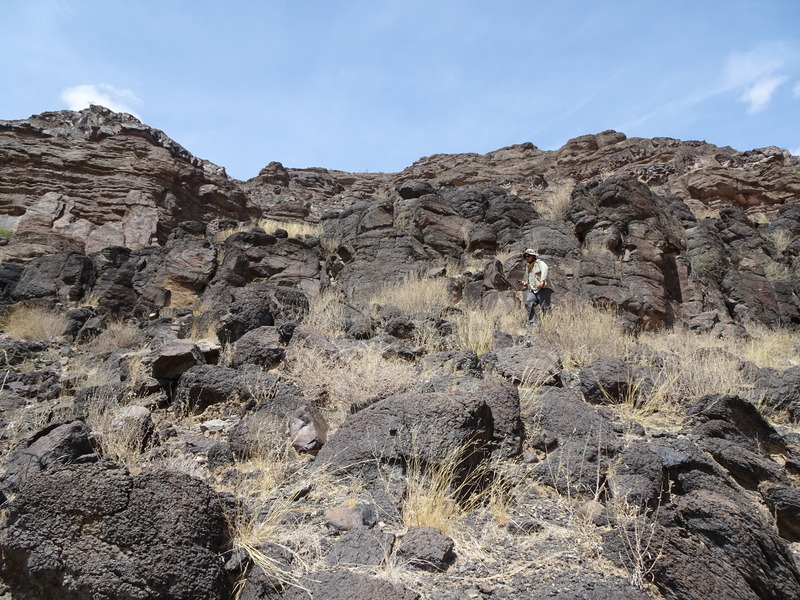 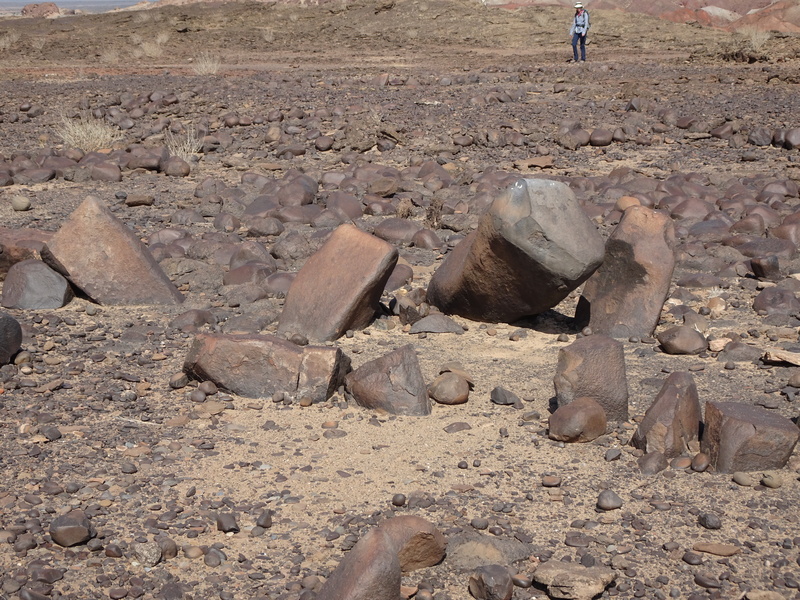 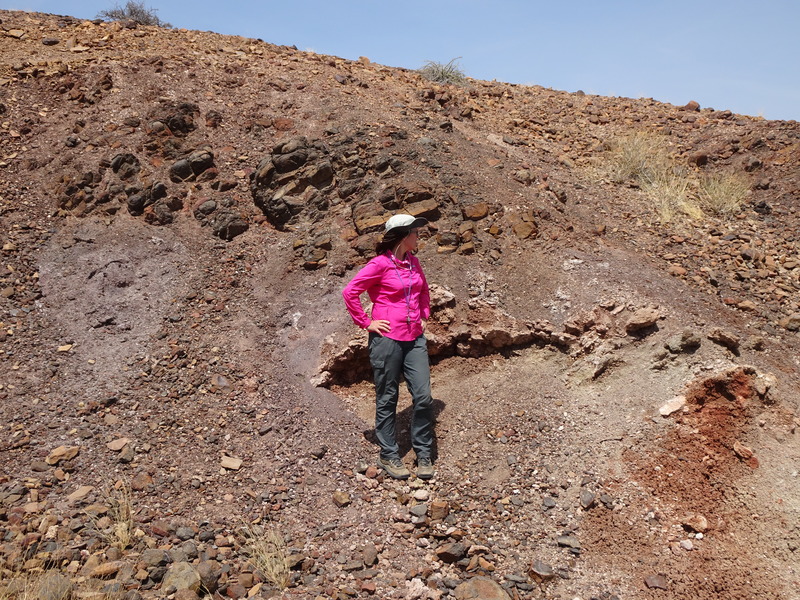 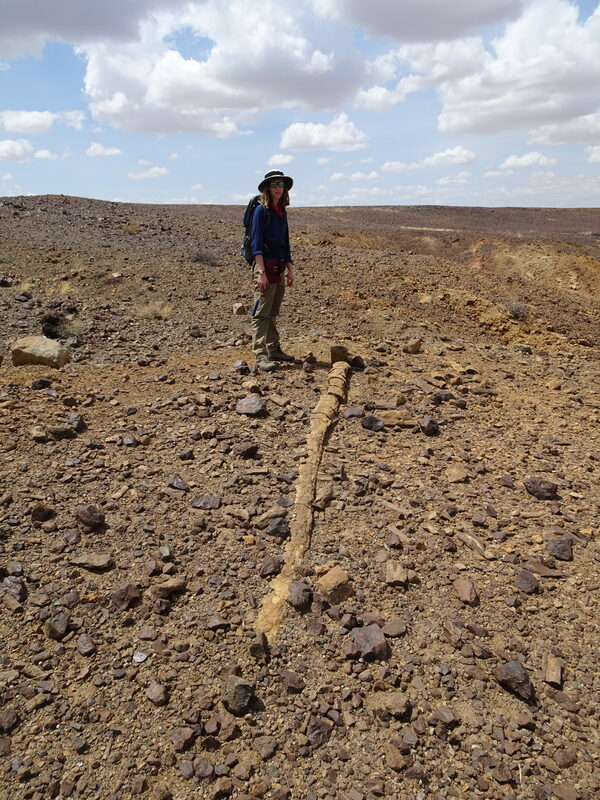 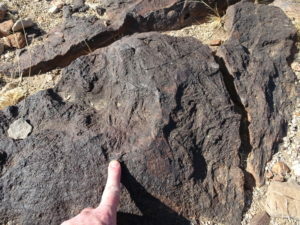 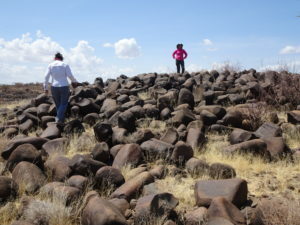 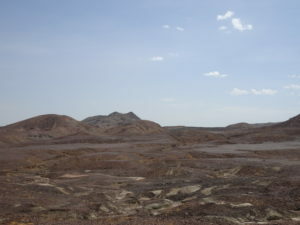 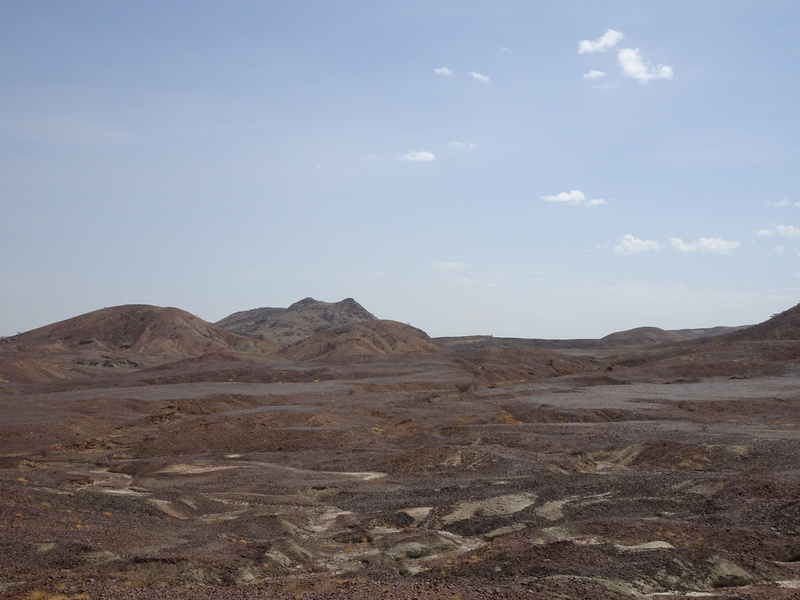 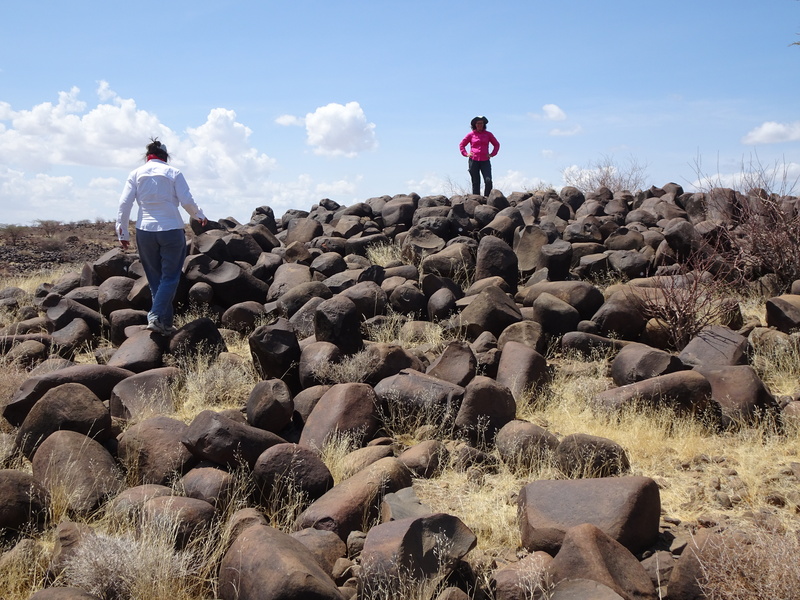 We spent most of the rest of our time roaming the Lothodok Hills, the large patch of Miocene–Pliocene sediments and basalt flows north of the TBI-Turkwel. 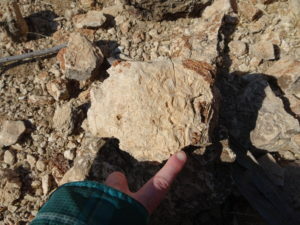 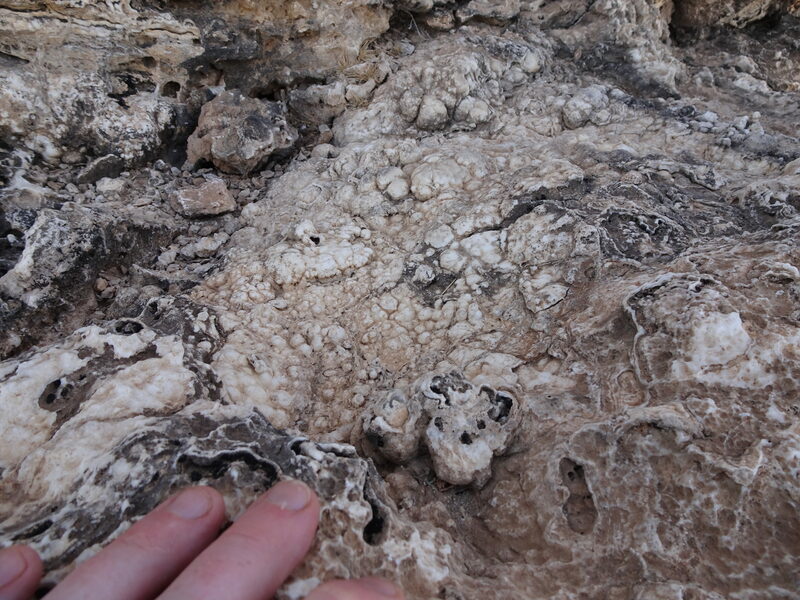 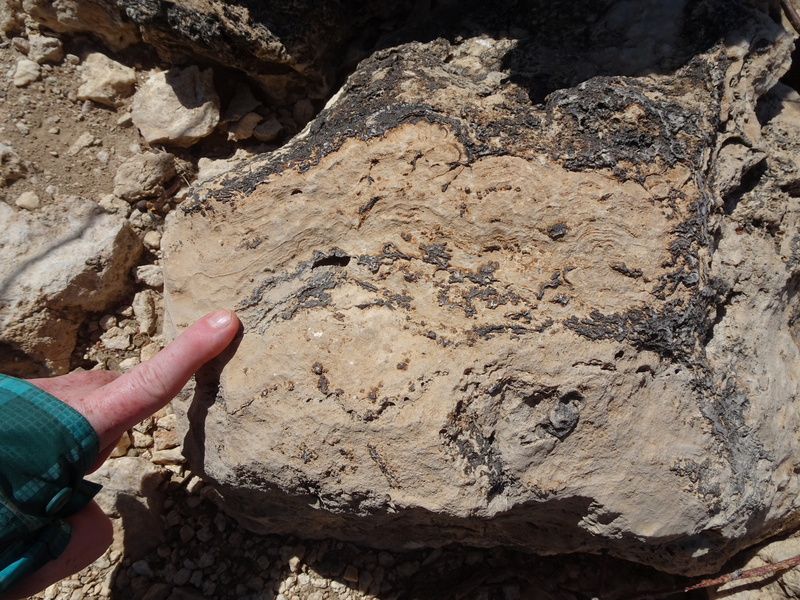 In addition to sediments, basalt outcrops ranging from small blobs to enormous ridges, lots of ashes, and plenty of cool fossils, we stumbled across a ridge of stromatolite reefs abutted by strange-looking sediments and a possible ash, and some oysters and lots of tufa. 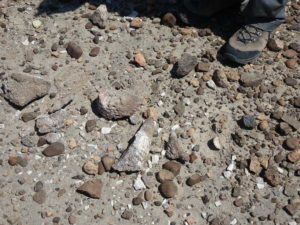 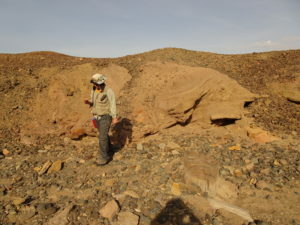 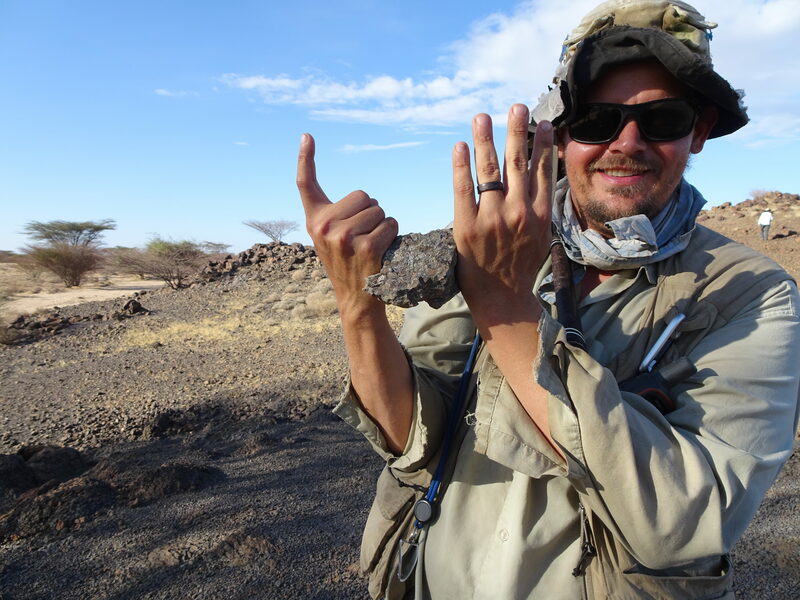 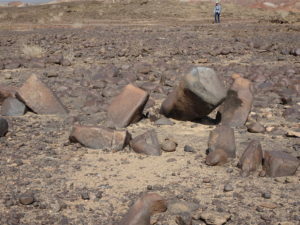 The only two characteristics shared by all of these things is that they are rocks and that we know how to date them, so we are beyond excited to get to work and figure out how we can improve the chronology of the Lothidok range and, with the younger carbonate rocks deposited on top, the lake level history of Lake Turkana. 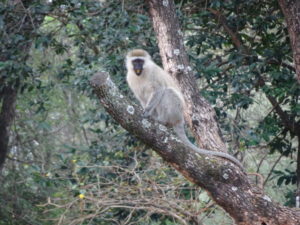 Now that we have returned from Kenya, we are working feverishly to catalogue our samples, compiled our notes, and annotate our photos. 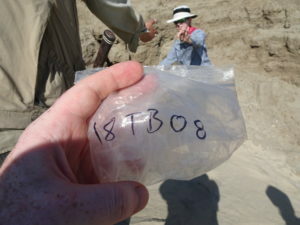 Over the next several months, we will begin preliminary analyses to determine the suitability of our samples for different dating techniques, to begin doing Ar/Ar analyses at LDEO and U-Pb analyses at Stony Brook, and to decide which samples to analyze first for our next round of research proposals. 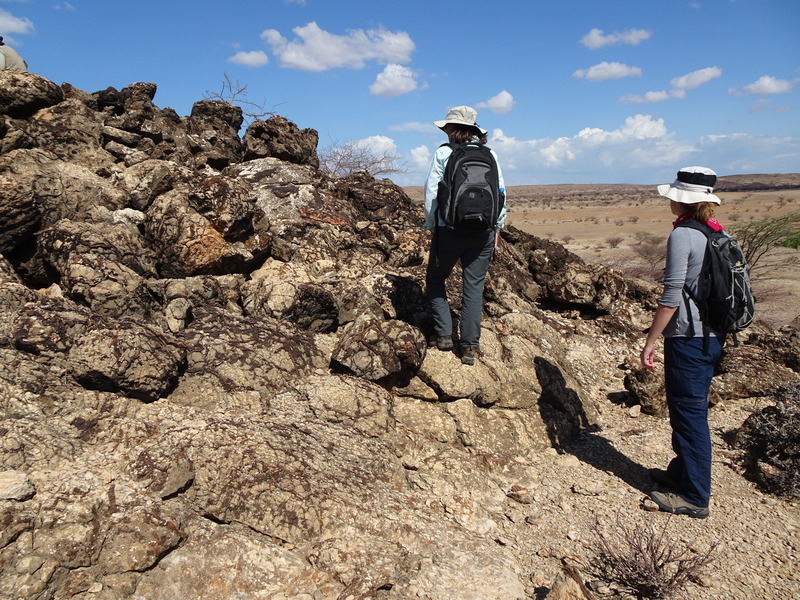 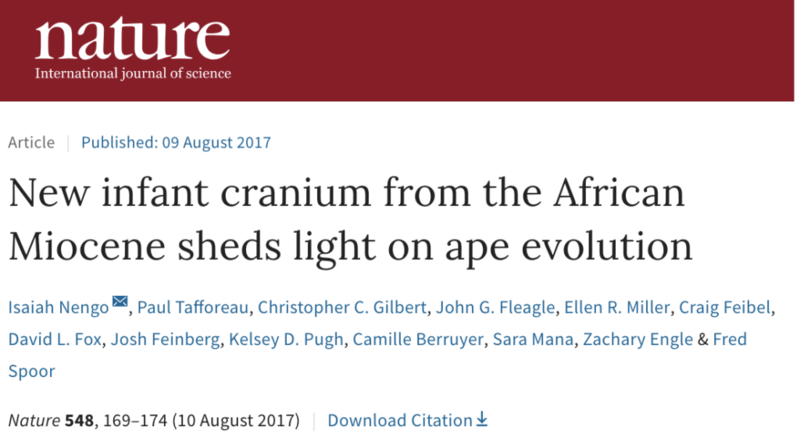 Despite all of the work ahead of us, we already have a long list of samples we were not able to obtain this time that will be at the top of our list for the next trip to Turkana!